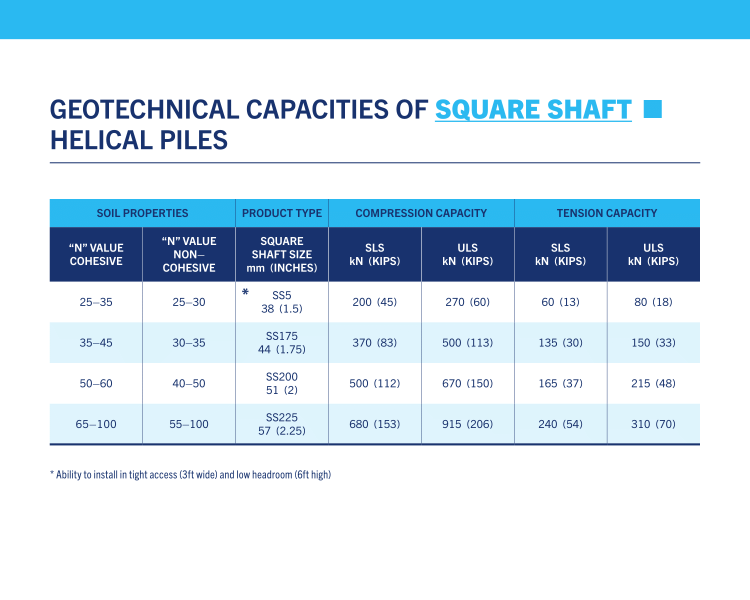 Helical piles are an end-bearing deep foundation system that has applications in both compression and tension. By applying torque to the shaft this action installs the helical pile with minimal displacement or disturbance. No vibrations or spoils are created during installation. Loads are transferred down the shaft onto the helical plates and into the minimally disturbed load-bearing soil beneath or above each helical plate. 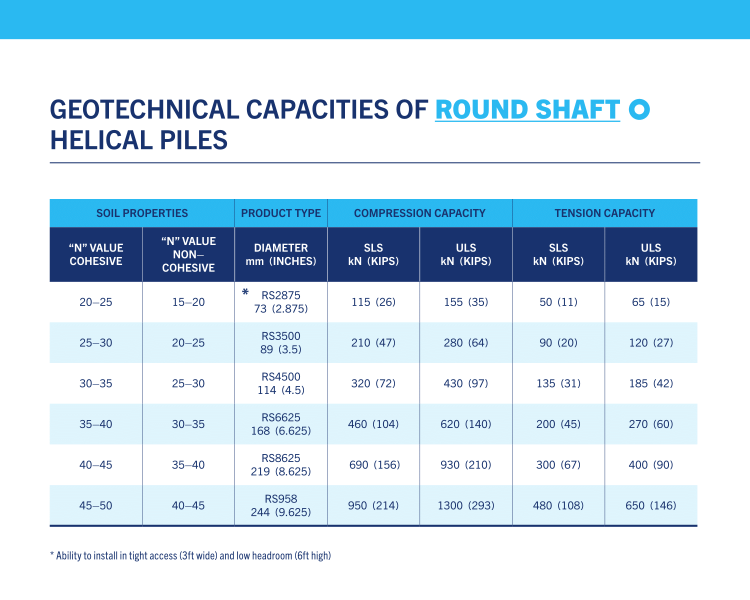 The resistance required to torque the helical pile into the soil directly correlates to its capacity - the greater the resistance (torque) the denser the soil and the higher the load carrying capabilities. CLICK HERE to view our Load Test Database. A dynamic tool allowing you to examine the performance of Helical Piles in different regions across Ontario. Load test results continue to prove helical piles are highly effective at resisting tension and compression loads, making them an excellent option for many different foundation designs. EBS is partnered with CHANCE to supply and install their helical piles in Ontario. The CHANCE Helical Pile system offers a technically advanced, cost-effective alternative to other pile systems. CHANCE’s product line has been used in over 2000 projects across Ontario, reaching loads up to 1000kN.